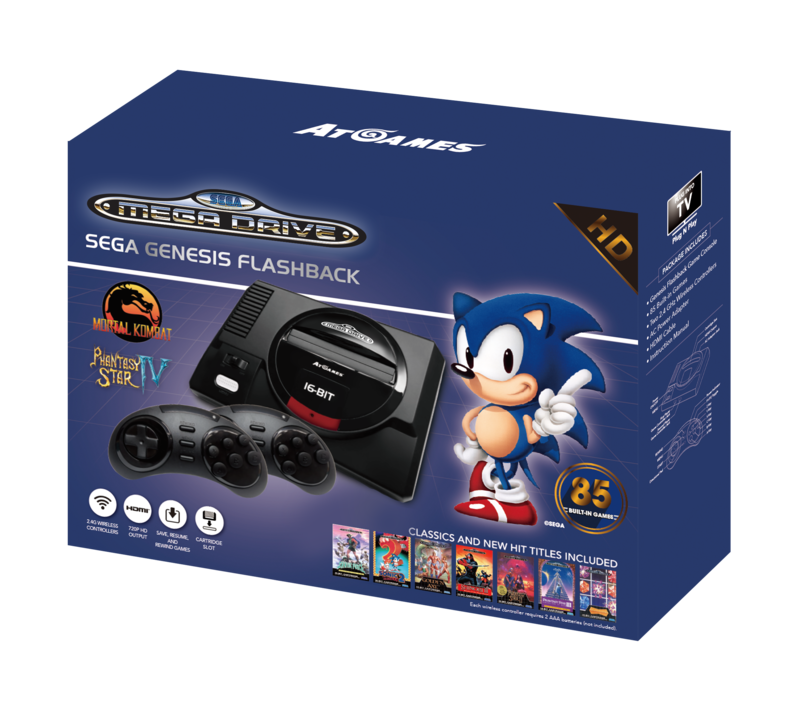 Sega Genesis Flashback a classic game console with 85 games built-in, including your favorite SEGA Mega Drive games: Sonic ™ and Phantasy Star ™ series. Save/ pause/ rewind every game. Stunning new design, reminiscent of the original Sega Genesis Console. Comes with two 2.4G wireless controllers and supports HDMI output (720P HD display). HDMI cable included in the pack. Integrated cartridge port that plays almost all of your favorite Sega Genesis original cartridges (cartridge is not included).